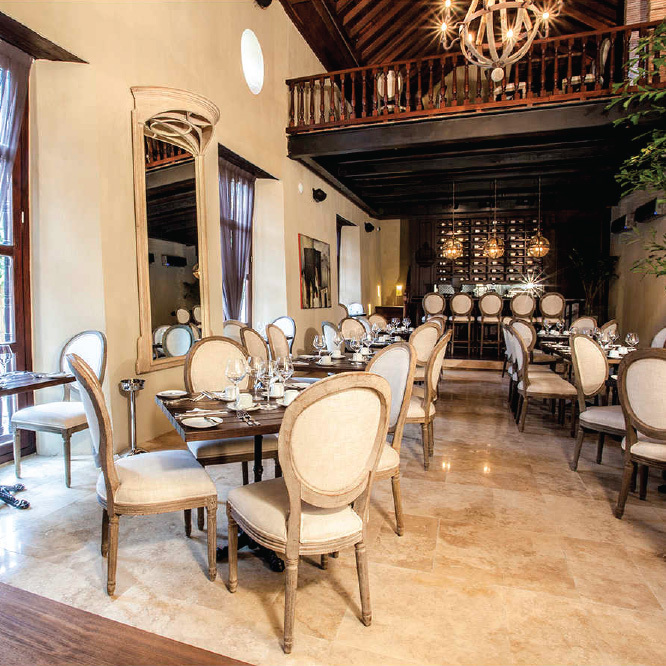 Cartagena provides an array of restaurant choices where your tastebuds will dance with delight within an alluring ambiance. Travelers will instantly fall in love with the exquisite cuisine steeped in history within this magical city. We bring to you a carefully curated selection of the most highly regarded restaurants within the city’s iconic historic center. A sophisticated environment located in the walled city, this special gastronomic space is an interpretation of indigenous Colombian coastal cuisine. The seductive and romantic atmosphere is ideal for a stopover during a relaxed day or to finish with a wonderful evening. Chef, Heberto Eljach, accompanied by his team, will take you on a journey to get lost in time. In what was formerly a convent full of mystery and legends, 1621 is located in the Sofitel Legend Santa Clara which maintains its enchantment as once the dining space for the Poor Clares Nuns. Beautiful and sophisticated, 1621 has a clear focus on wine culture and its close relationship with food. In its varied menu, French recipes fuse with Creole ingredients. The chef and sommelier compose interesting thematic menus working in perfect harmony. true paradise for food lovers. Its contemporary cuisine with a focus on food of the sea is created with ingredients of the highest quality resulting in dishes that look like works of art. Its innovative version of traditional dishes like ceviche laminate, which has carbonized coconut and other unexpected ingredients, differentiate this place from others. It's the kind of place that will leave you wanting to return. 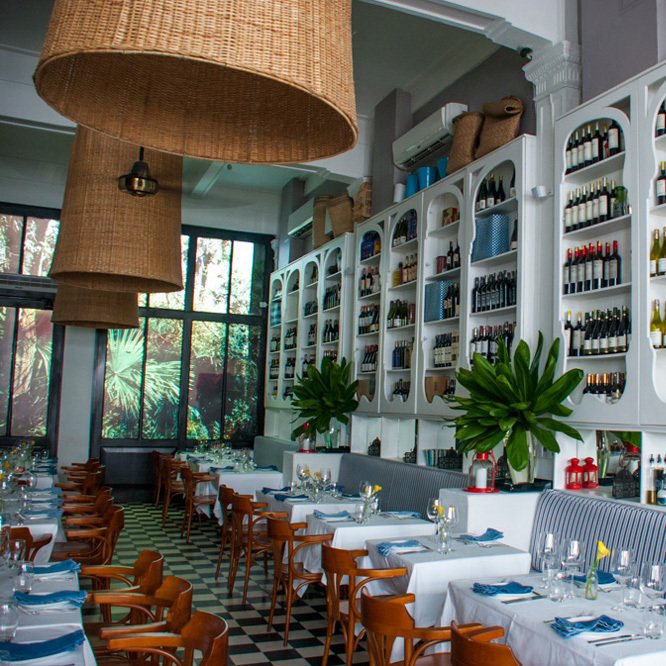 Checkered floors, large basket lamps, and white wooden cabinets are the cozy design elements that create the inviting atmosphere that is led by Chef Juan Felipe Camacho with fervent passion. Once seated you will find succulent dishes with Mediterranean flare ingredients and Colombian ingredients without any pretentiousness, just honest and pure food. We recommend creating reservations in advance as Don Juan, known for providing impeccable service, stays busy throughout the year. Located in the Bastion Luxury Hotel inside the Historic Center, El Gobernador evokes emotions of days during the colonial conquest. The menu, created by the renowned Rausch brothers and executed by Jaime Rodriguez, is based on local ingredients, modern techniques and great presentation. It is a surprising culinary experience where flavors, colors, and textures stand out. El Gobernador has already earned its place as one of the best in the city. The first project of the Caribbean Colombian chef already well known in the culinary circles of Bogota, Harry Sasson is inside a republican style courtyard in the Hotel Santa Teresa. The menu mixes dishes from his other restaurants along with special seafood dishes just for Cartagena like fresh ceviche and crab nachos. His name is synonymous with quality; one should expect great culinary arrangements accompanied by great service. Faint golden colored mood lighting, Colombian festive music, attentive and efficient service recreate the set of Salou. An eclectic and versatile place where every dish is designed to be shared. The Latin-Asian cuisine, consists of fresh local ingredients of the highest quality generate a fusion of Asian, Latin American and local flavors all in a casual and relaxed atmosphere. Here each visit is a unique experience, a place to discover.